My heart tends to skip a beat whenever I spot a good bargain. Lately, there have been a few. The Le Specs sunglasses are a fun and quirky addition without having to spend a fortune. I'm hooked on Christys hats after discovering that they are indeed handmade in Oxfordshire (with the exception of their panamas which are made in Equador) and cost a fraction of what other designer houses such as Maison Michel, Saint Laurent and Eugenia Kim charge for theirs. I check my Instagram feed every few minutes - a sure sign that I need to attend IAA (Instagram Addicts Anonymous). These days, there are companies that stoke our obsession for the social media by allowing us to print as well as design your own book, calendar and coasters with your Instagram photos. Brilliant, isn't it? (says the IA - Instagram Addict). There are slip-ons and then there are statement slip-ons. I'm all for anything eye-catching these days. Speaking of teddy bears, there's nothing like having one for your phone. This adorable teddy bear iPhone cover will put a smile on your face even on a bad hair day. My favourite thing here is the phrase " elucidate the rational " you can be certain I'll pinch that! Am about to email you, if I can find your email, lost all my contacts in the burglary. Feel free to pinch my phrases. I come up with the most ridiculous at times :P It's thepurseaddict@gmail.com. OK, I can see a wee letter at the top but can' tclick on it, arrgh! the Moschino teddy bear iphone case is killing me! Marlene, I would love to see you doing a pic of yourself in the mirror holding a phone with the teddy bear cover on. That will be the day when you see me with a Hermes. But the Rivieras are cool. I like them in the cream colourway that they have - my kind of school run shoe. And funny that, BC - I had more disposable income too! MWAHAHAHAHA......I would!! If only I have an iPhone. I only wish they have such funky covers for my mega size Samsung Galaxy Note. That Teddy Bear Phone case is FANTASTIC!! I so need it!! PS-you have the best Instagram around!! You're so sweet! I've just noticed that I've been so busy Instagramming, I've forgotten to take proper pics for the blog. Are those sunnies the ones Anna Paquin is always wearing? I have no idea. You've got me curious now so I'll have a nosy around and google Anna Paquin. 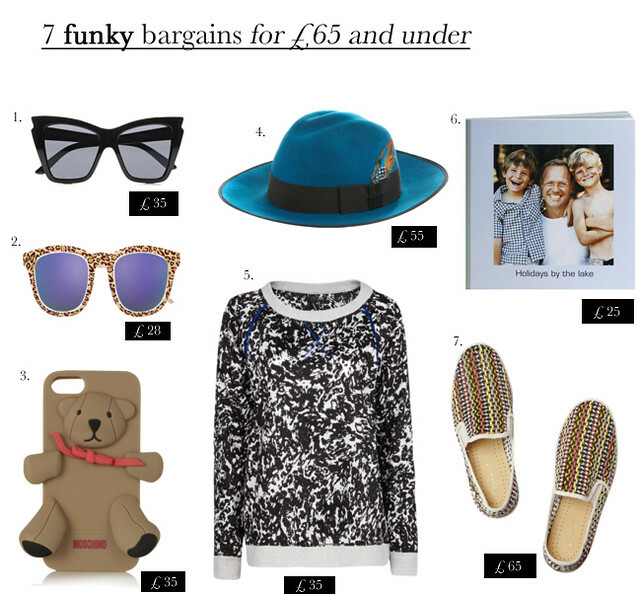 I love finding a good bargain too - that Mango sweatshirt is pretty cool, reminds me a little of Marant, don't you think? Funny you should mention this. I was just admiring the "leaked" photos. Accidental or not, I'm impressed. My brother was so chuffed about this mail forwarding. It seems that my family has been busy shopping from all the popular US stores! I love the BC reference! So funny! I'm the opposite (very surprisingly) but only due to my work these days vs the old days. Great list of affordable goodies especially those flats.